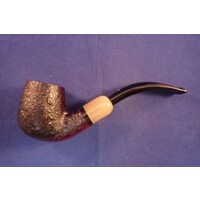 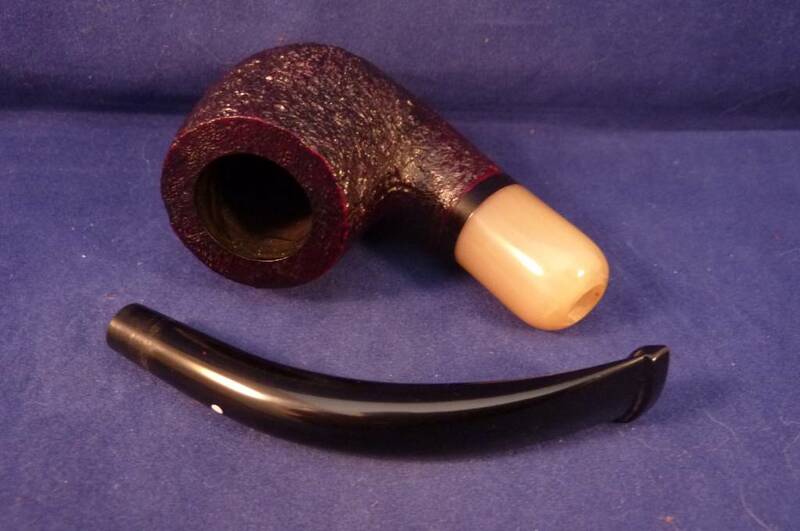 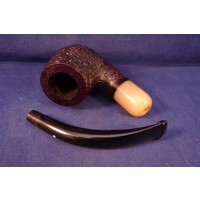 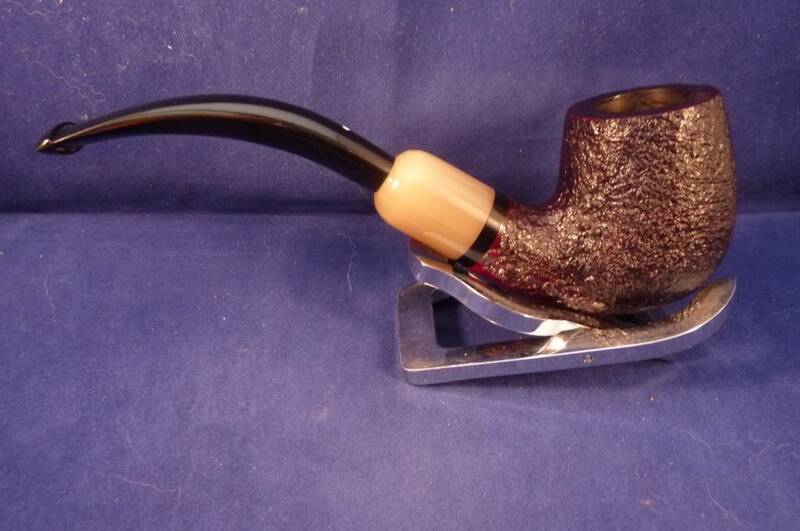 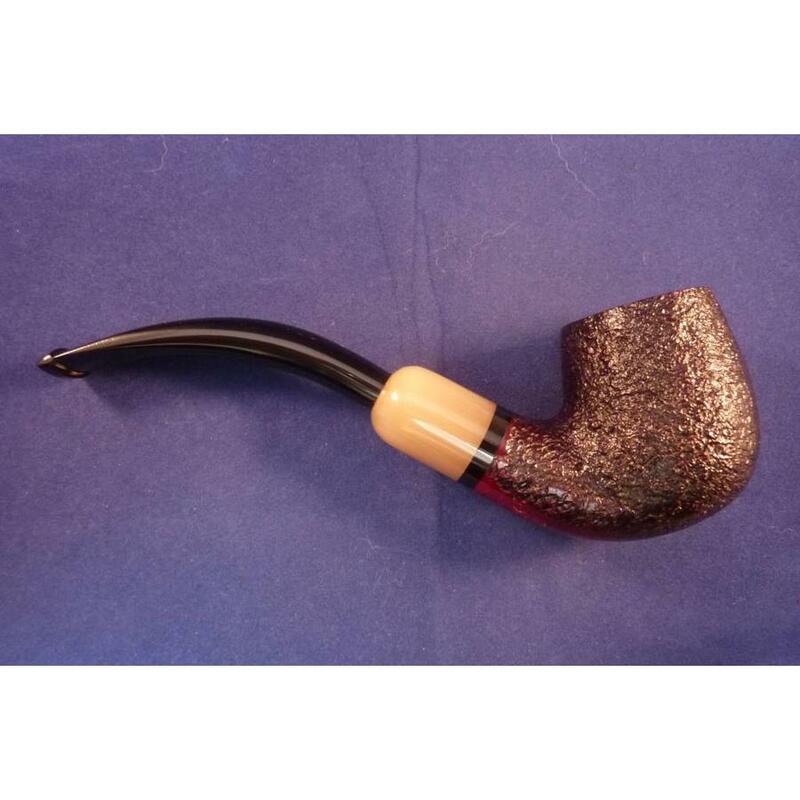 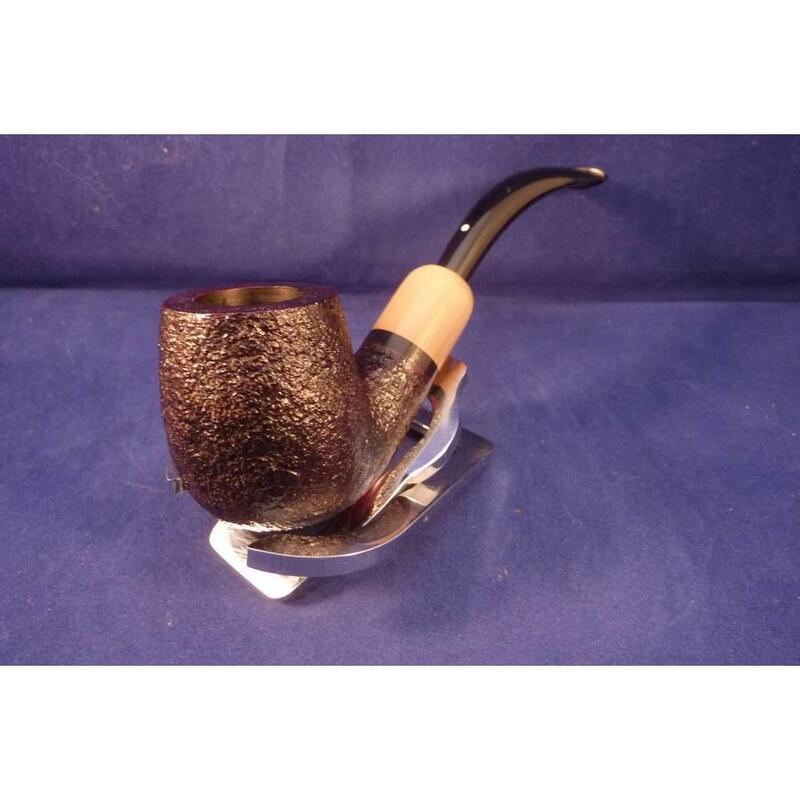 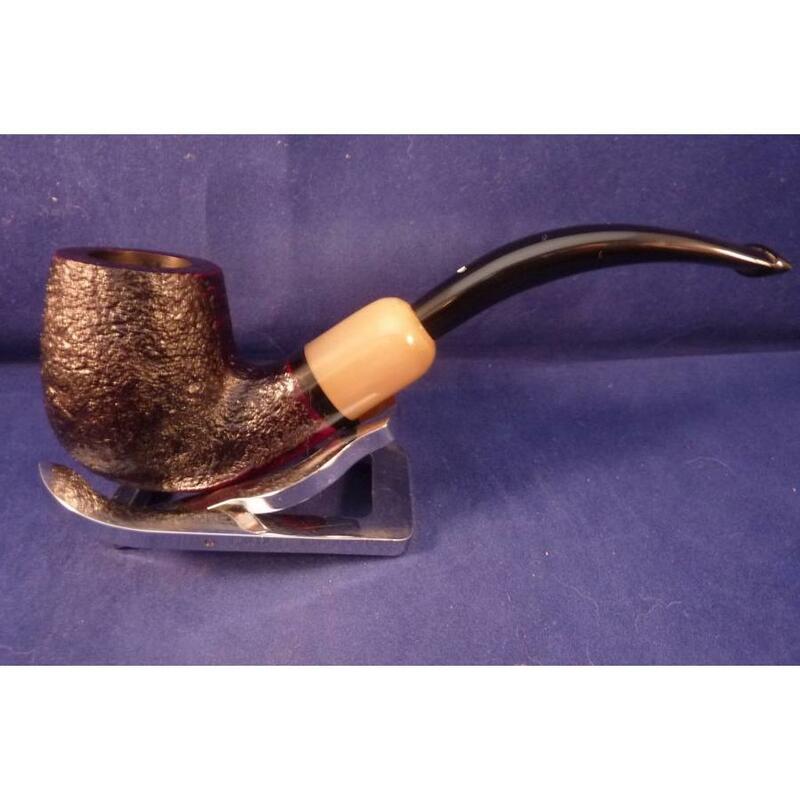 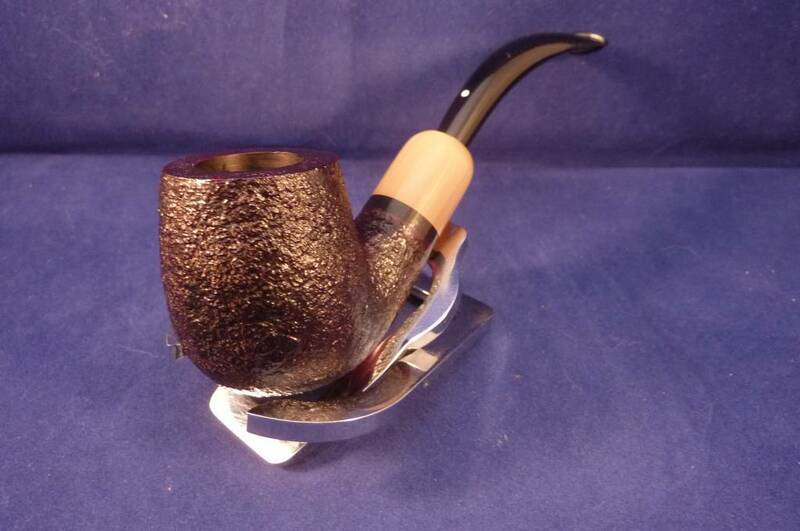 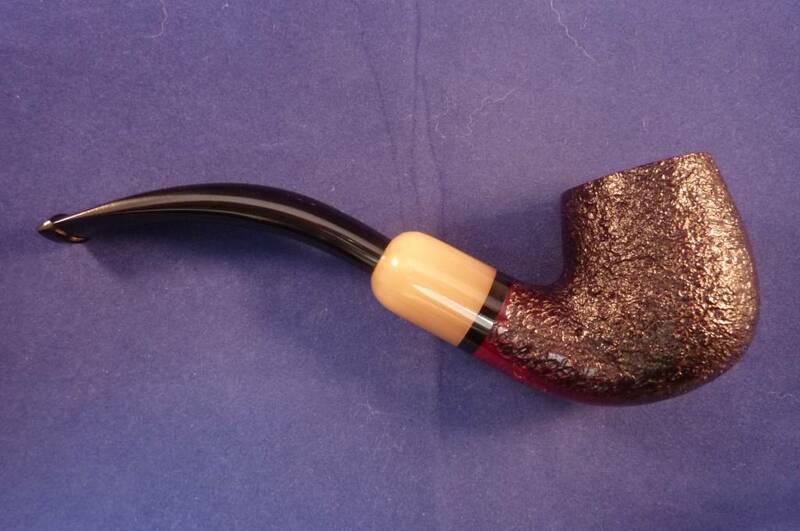 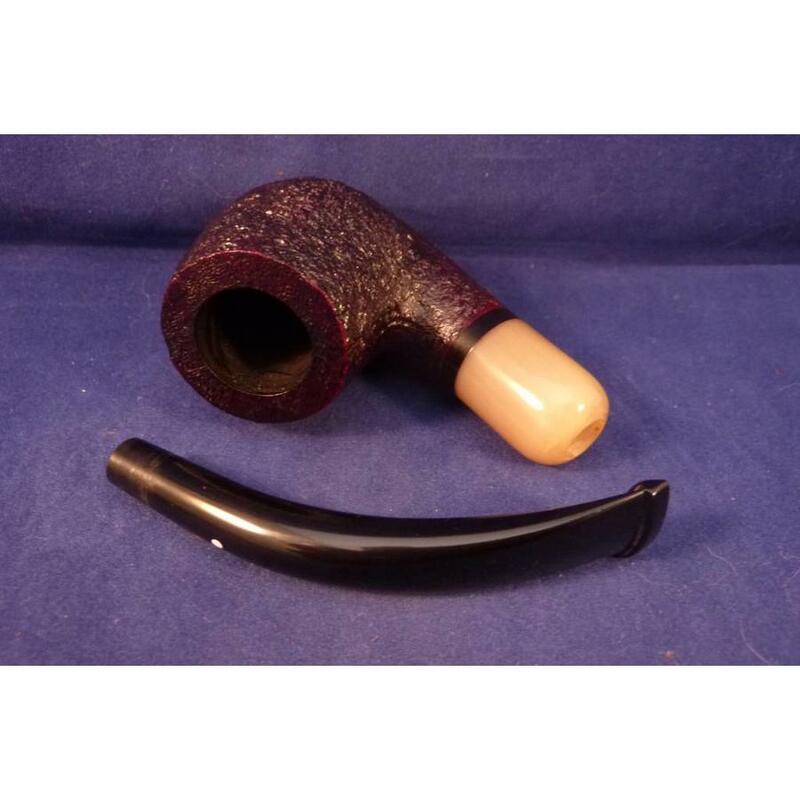 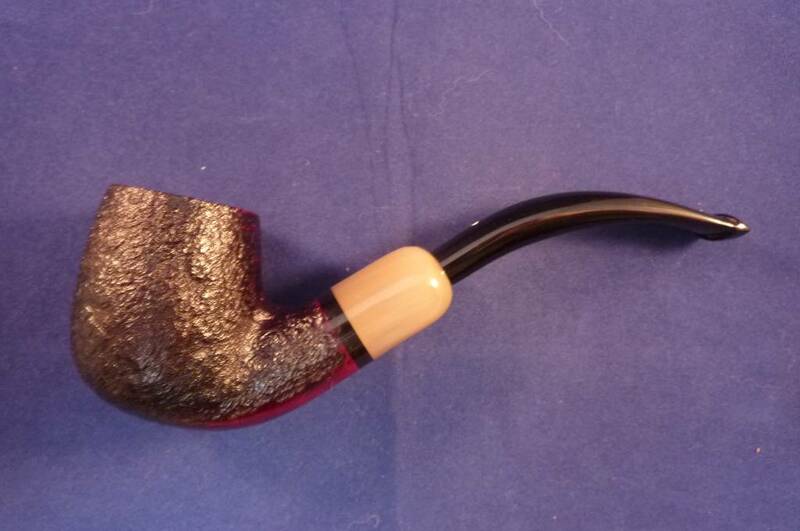 Sandblasted briar bent billiard pipe with a horn application made by Dunhill in the UK. 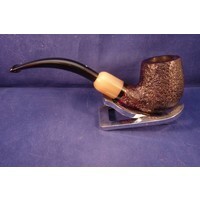 Sandblasted briar bent billiard pipe with a horn application made by Dunhill in the UK. 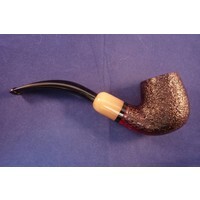 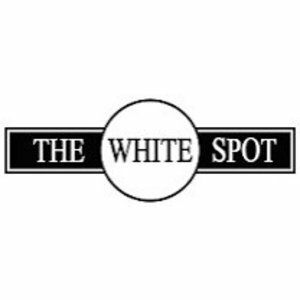 Dunhill selects only the best briar. 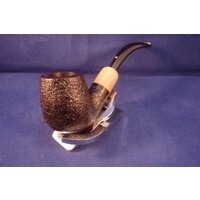 The handmade pipes of Dunhill has a worldwide high grade reputation that they make the best pipes. 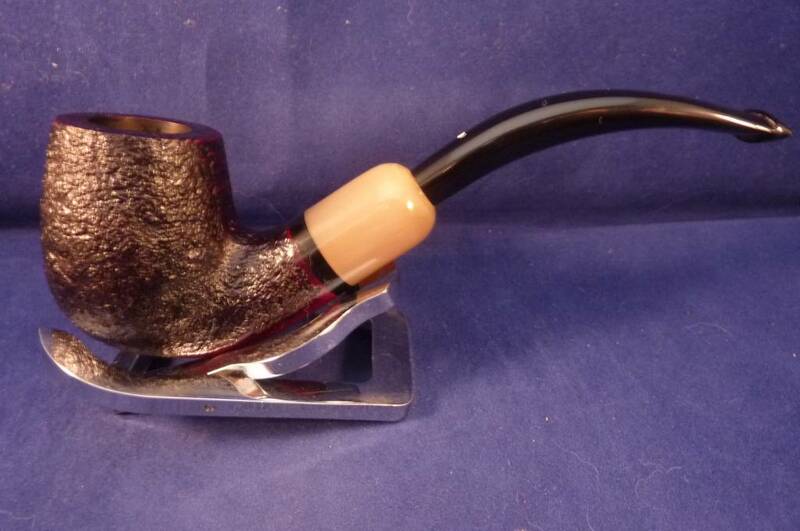 Acrylic mouthpiece, no filters.